First-time buyers who use Help to Buy to get on to the property ladder face paying a premium of more than £30,000. That’s according to new research by the price comparison website Reallymoving, which claims first-time buyers using Help to Buy paid an average £303,000 in February, significantly more than the average of £270,000 spent by those who bought a home on the open market. So, does using Help to Buy still make sense for first-time buyers? Here, we explain the pros and cons of the new-build scheme, and offer advice on alternatives for buyers with a small deposit. Reallymoving claims that first-time buyers accounted for 57% of all home-buyer activity in January and February, with one in five choosing a new build over a second-hand home. And those using Help to Buy faced paying a premium of a whopping £33,000, according to research based on 44,000 quotes offered by the website. Reallymoving claims that the so-called ‘Help to Buy premium’ increased to 12% in this February, as shown in the graph below. The Help to Buy equity loan scheme, which was introduced in 2013 in England, allows buyers to use a 5% deposit and benefit from an equity loan of up to 20% (40% in London) of the property’s value from the government. This means they can then get a mortgage for the remaining 75%. The scheme is limited to new-build properties. You can learn about the basics of Help to Buy by checking out the short video below. There’s no doubt that Help to Buy has been popular, with 195,219 properties bought with a Help to Buy equity loan in England between its launch in April 2013 and the end of September last year. Help to Buy means you can get on to the property ladder with a 5% deposit. The equity loan means you only need a 75% mortgage, so you could get a competitive rate. The equity loan is provided interest-free for five years. The scheme allows you to buy a brand new property direct from a house builder. More than eight in 10 Help to Buy properties have been bought by first-time buyers, according to official statistics. Properties can be more expensive than on the open market. This means that you might struggle to make a profit when you come to sell or could even end up in negative equity. Help to Buy is only available on new-build homes, which are currently the focus of the leasehold scandal. When interest kicks in on the equity loan after year five, it can cost you hundreds – or even thousands – of pounds each year. While the figures are improving, there’s still a limited number of remortgaging deals available to Help to Buy homeowners. The government hasn’t turned a blind eye to criticisms of its flagship scheme, and it’s set to undergo an overhaul from April 2021. From then, the scheme will only be available to first-time buyers, and the maximum amount they’ll be able to borrow will be capped based on the region they’re buying in. You can learn more about the price caps in our full guide on Help to Buy equity loans. The government has pledged to construct 300,000 new homes by 2025 as it looks to tackle the housing shortage. While new builds have faced criticism for their price and quality of craftsmanship, there are some positives. For instance, when purchasing a new-build home, many of the fittings are often included in the price, your energy bills could be cheaper and – theoretically, at least – you won’t face the maintenance issues that you might find in an existing property. 95% mortgages: if you’re looking to buy a second-hand property on the open market, it’s possible to get a standard mortgage with a 5% deposit. Right now, rates are very attractive, but they’re still significantly more expensive than those on offer to buyers with a 10% deposit. Shared ownership: shared ownership schemes allow you to buy a share of a property (often from 25%) and pay rent on the rest. Shared ownership is popular in expensive city markets, but costs can spiral once you factor in the mortgage, rent costs and service charges. Scotland and Wales run their own Help to Buy schemes. Help to Buy Scotland allows you to take out a 15% equity loan on a new-build property priced up to £200,000. Unlike in England, the equity loan will remain interest-free. Help to Buy Wales, meanwhile, offers an equity loan of up to 20% of the value of a new-build home priced up to £300,000. Interest on the loan is phased the same way as in England. 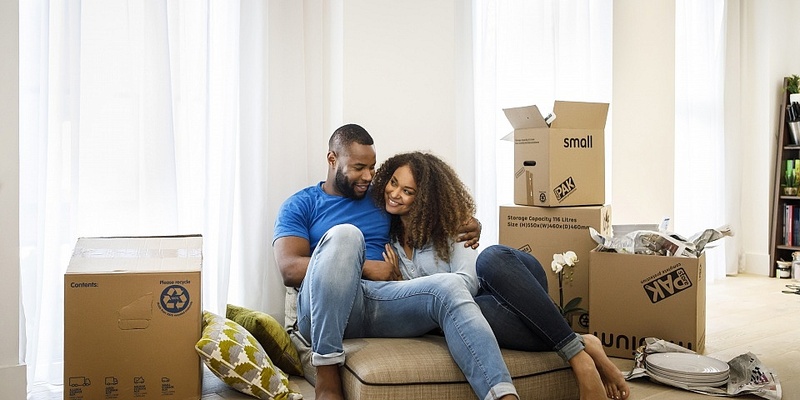 If you’re looking to a buy a home with a small deposit, it can be helpful to get advice on your mortgage options from a whole-of-market mortgage broker, who can find you the right deal based on your financial circumstances. To speak to an expert, call Which? Mortgage Advisers on 0800 197 8461 or fill in the form below for a free callback.